Drive more sales and leads on Facebook, Google and LinkedIn. Connect all your lead gen sources and lower your cost per lead. 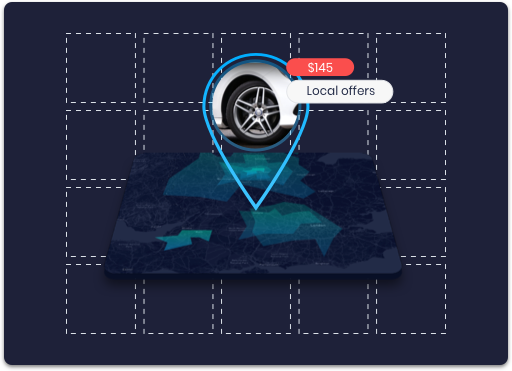 Deploy hundreds of local, personalised campaigns. 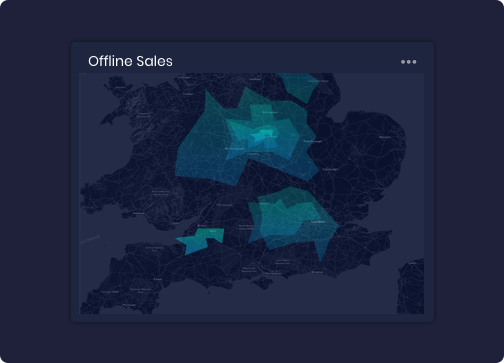 Track ads through to offline sales and analyse your lead data to optimise campaigns. 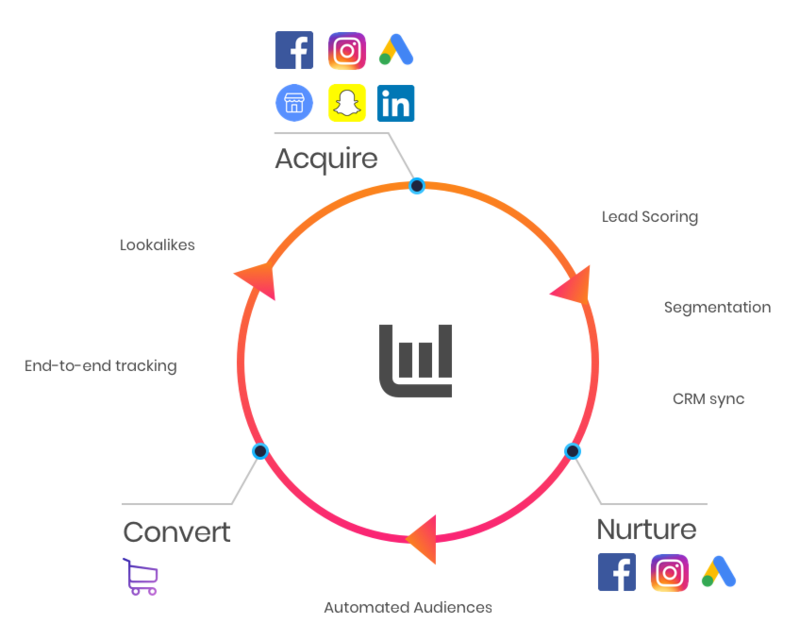 Nurture customers through the entire lifecycle across Facebook, Instagram and Google to increase conversion rates. Learn more about the tools available with the Driftrock lead generation software. Whether you or your agency are using Driftrock yourself, or we're managing your campaigns, our technology enables lead gen strategies not possible natively. Activate and sync leads from Facebook Lead Ads and LinkedIn Lead Gen Forms to your CRM. Clients typically see a 50% reduction in CPL from these native lead gen formats. If you're a company like Real Estate, Auto and Gyms it's critical to personalise local ads to maximise effectiveness. Our local ads technology enables this at massive scale. We power dealer marketing campaigns for BMW, VW and Fiat Group to name a few. Extend your CRM or lead nurturing to social advertising and see a 50%+ boost in conversion rates. All your leads funnel into Driftrock where they can be segmented and analysed. This helps you get to know your leads better, and optimise for quality. Our Downstream ad tracking allows lead gen companies to track individual ads or keywords from click through to sale. 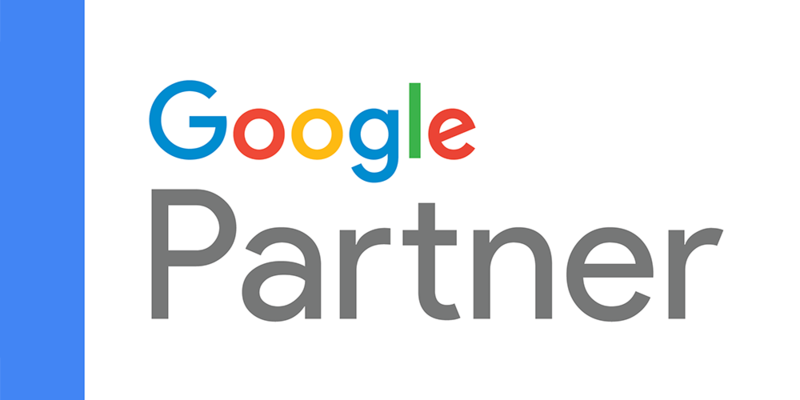 This enables optimisation for revenue rather than just cost per lead. We build tech on the Facebook, Google and LinkedIn Ads APIs. As an official Facebook and LinkedIn Marketing Partner, we've been recognised for providing extraordinary results. Learn more about our additional benefits for agency partners. Find out more about our Paid Social & Search Advertising services.